i’ve already mentioned how much i love ALPRO, right? they make delicious plant-based food, many of which are healthy and tasty alternatives to dairy products. i already showed you how i use their mild and creamy yoghurt alternative on A DAILY BASIS. today i’m happy to share two other recipes that i use alpro with, and that are perfect for summer if you ask me. the reason for sharing – other than this blog having become a bit of a place for breakfast worshipping – is that alpro is opening up a pop-up restaurant in ghent next week. 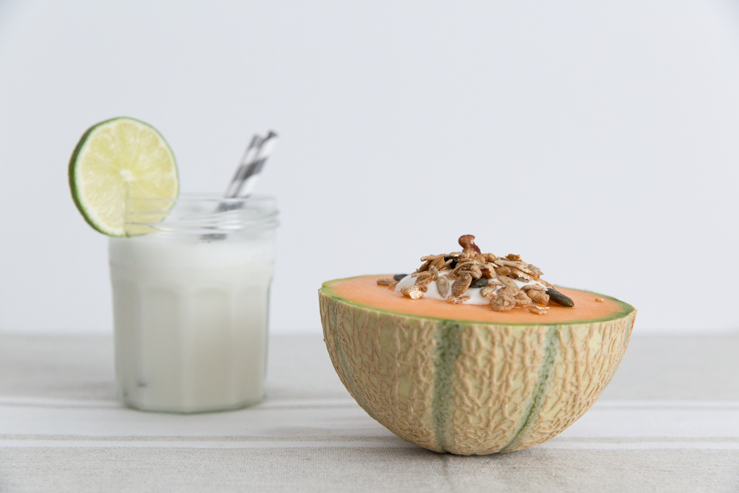 if in the meantime you want to get creative with some alpro products, may i suggest a coco-lime smoothie and a melon breakfast bowl? 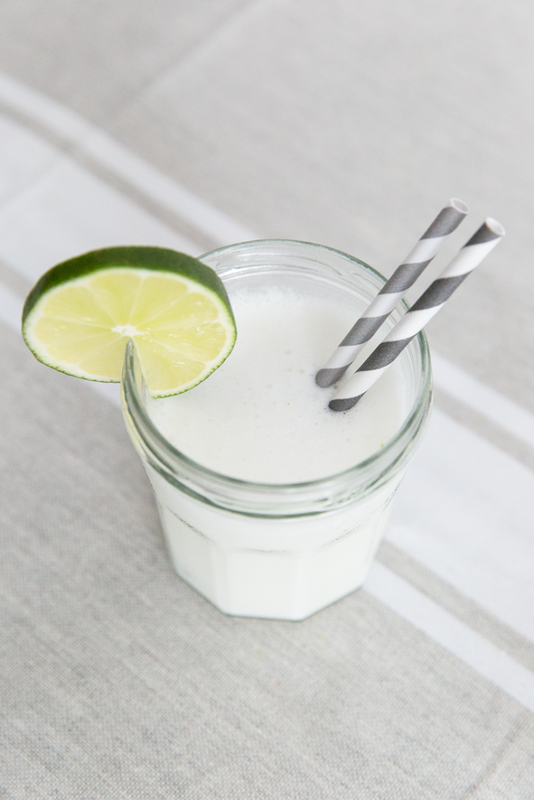 for the smoothie, put some COCONUT DRINK and ice in the blender, then just add honey and lime juice to suit your taste. super simple, and super refreshing. as for the breakfast bowl – i got that idea from the magnificent KINFOLK TABLE book. 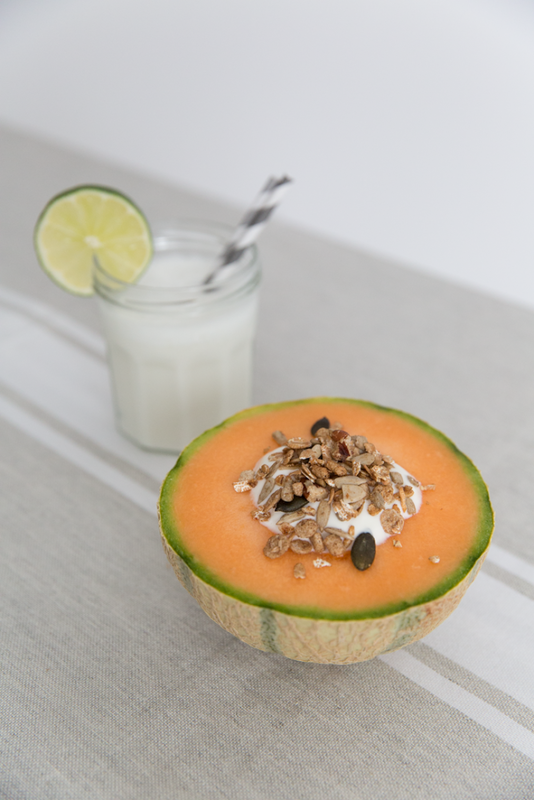 the idea is to cut the melon in half, remove the seeds and then use it as a bowl for your YOGHURT and GRANOLA. fun, no?